There was a time when nothing symbolized Americans’ yearn for instant gratification as well as the drive-thru -- where we could order, pay for and eat a meal without ever having to leave the car. Then along came the iPhone and a universe of apps that promised the ultimate convenience: burgers at the push of a button. Thanks to tech, you now have the luxury of never having to place a fast-food order with a human again. As more young Americans move to cities -- and leave their cars behind -- mobile apps are increasingly looking like the 21st century's answer to the drive-thru. Over the past several months, the number of restaurants offering diners the ability to order and pay for their food through their phones has expanded rapidly. Taco Bell launched its mobile ordering app to much fanfare last week. Other eateries, including Panda Express and White Castle, also have similar apps. McDonald's is reportedly testing an app that allows customers to order ahead and pay through their phones. The fast food giant already accepts Apple Pay at its stores. At Starbucks, which is widely acknowledged to have one of the most successful mobile payment apps, phone transactions are growing at a rate of nearly 50 percent annually, the company said in a conference call discussing its most recently quarterly earnings. Mobile payments at banks, restaurants and other locations are expected to grow 60.8 percent annually worldwide between 2011 and 2015, according to the 2014 world payments report from consulting firm Capgemini and the Royal Bank of Scotland. The apps presumably appeal largely to younger city dwellers looking to order quickly and on the go. And the past few years have seen an increase in this type of customer. Between 2000 and 2010, the urban population in the country increased by 12.1 percent, compared to an overall population growth rate of 9.7 percent, according to Census Bureau data from 2012. Nearly 1 in 7 Americans lives in the New York, Chicago or Los Angeles metropolitan areas and nearly 1 in 3 lives in one of the 10 most populous regions, the Census Bureau reported earlier this year. Young people in their 20s and 30s with college degrees are particularly likely to choose close-in urban neighborhoods over the suburbs, according to a recent report from City Observatory, a think tank focused on urban policy. 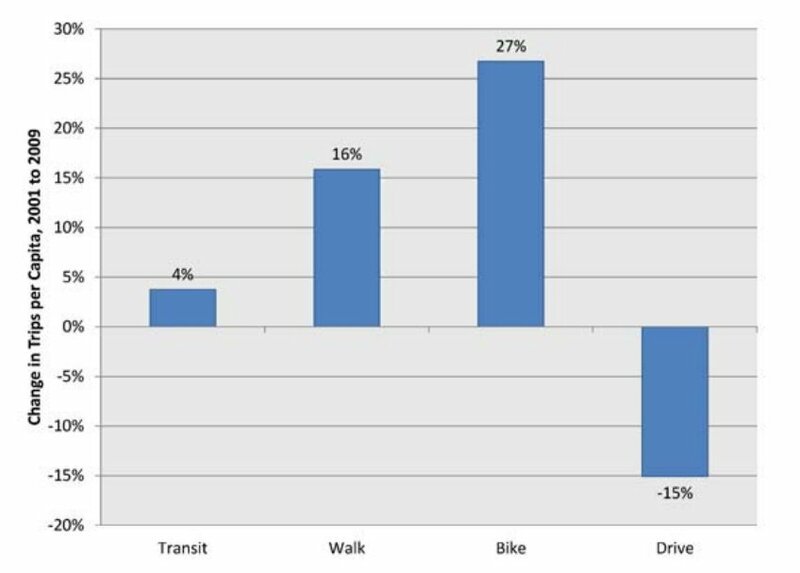 Young people are also driving less -- between 2001 and 2009, the number of miles clocked by the average 16 to 34-year-old dropped 23 percent, an October study from U.S. PIRG found. This chart from U.S. PIRG shows the change in number of trips per capita among 16- to 34-year-olds between 2001 and 2009. If these patterns hold, it may not be long before the trappings of car culture -- including drive-thrus -- become increasingly outdated. The first drive-in window -- a setup where diners ordered through a window and a waiter brought food to their car -- appeared in Texas 1921, according to Michael Karl Witzel, the author of The American Drive In. 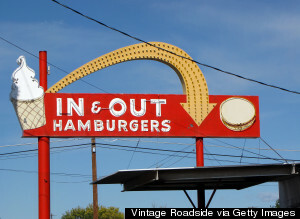 It later spawned its now more-popular offshoot, the drive-thru, in the 1930s, he said. From there, the growth “was another natural progression of the love of the automobile,” Witzel said. As cars, highways and commutes from the suburbs became more ubiquitous in the middle of the century, drive-thru windows began to increasingly dot the landscape. McDonald’s launched its first drive-thru on an Arizona military base in 1975 to cater to soldiers who weren’t allowed to get out of their cars in fatigues, according to the company’s website. Despite the congestion, drive-thrus still generate a huge chunk of business for many eateries; at Starbucks, for example, stores with a drive-thru accounted for nearly half of sales last quarter, even though they make up only 42 percent of the chain's company-operated store portfolio. According to a 2012 report from the NPD Group, a market research firm, drive-thrus make up about 40 percent of visits at Mexican chains like Taco Bell, and 57 percent of visits at hamburger joints. But the drive-thru's hold may be slipping. For the year ended September 2014, drive-thru visits to hamburger fast food chains were down 6 percent, compared to a 5 percent decline in fast food visits overall, according to NPD. 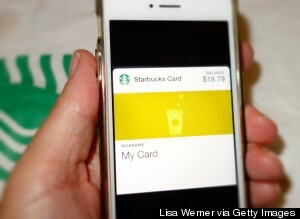 Using Apple's Passbook App to pay for a cup of coffee at Starbucks. Forward-thinking chains are adjusting to this new reality. Starbucks announced on its earnings call last week that the chain will add delivery to its mobile app in some locations starting sometime in 2015. It also added a feature earlier this year that allows users to hail an Uber through the Starbucks app. Starbucks CEO Howard Schultz described these developments and other efforts to grow mobile transactions as "taking a page out of the drive-thru business,” which is known for convenience. If the plan works, an Uber ride to your local Starbucks hailed through the chain’s app may one day feel as nostalgic and American as a waiter delivering a burger to your car on roller skates.